Come experience Christ with us through worship. 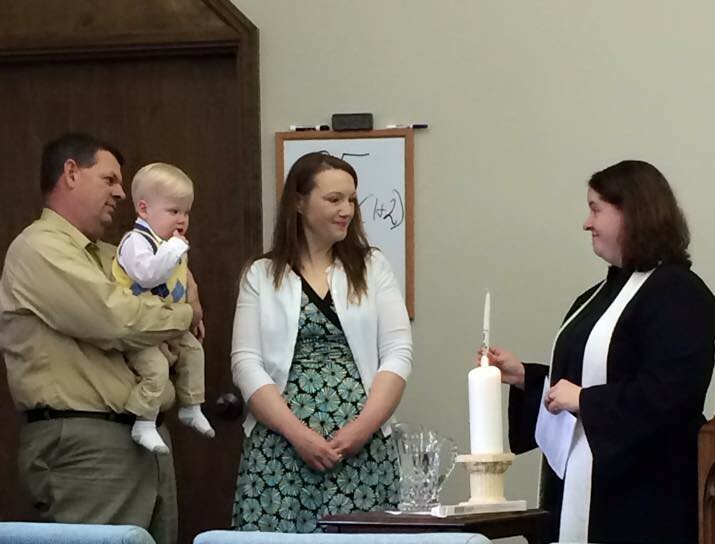 At Christ Church, weekly worship is informal, yet traditional (“tradition with a twist”). Our worship style is more traditional in format and is organized around Scripture. Each worship service includes prayers (corporate and silent), scripture readings, affirmation of faith, hymns, a choir anthem or solo, and a sermon. The sermons are down-to-earth and practical for daily living. There is a time for children in the midst of worship which even includes the youngest children and toddlers in our nursery. We celebrate the sacrament of Communion once a month, which is open to all who believe in Jesus Christ. Attire will range from traditional “Sunday” dress to shorts, capris and sandals in the summer! The sanctuary is a multi-use space, so it flows easily from the fellowship/kitchen into the sanctuary.We enjoy a fellowship time before worship begins every Sunday morning with snacks and coffee. You can listen to our sermons here. Learn more about our emphasis on prayer here.